Mobiles emit harmful radiation due to transmission of signal. The result is insomnia and other sleeping disorders. you could put the phone on airplane mode while sleeping. Those late night chats, the apprehension of getting emergency calls, the use of an alarm, the reasons may differ but the habit is same- we sleep next to our mobile phones. The custom is so prevalent that eight out of ten mobile phone users sleep next to their gadgets during night. 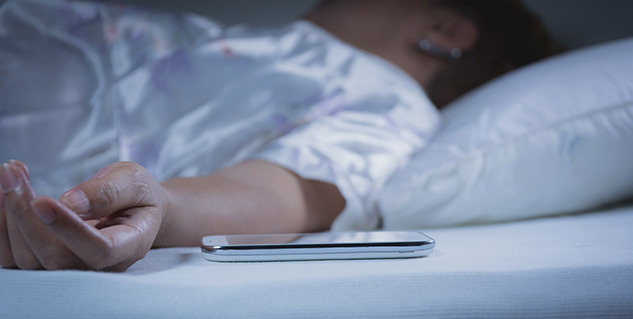 We have been warned for years about a possible connection between brain cells and cell phone use; and lately, sleeping with a cell phone has been posed to be a very dangerous habit. In 2011, Joel Moskowitz, PhD, director of the Center for Family and Community Health at UC Berkeley’s School of Public Health has suggested that it is best not to let kids sleep with their phones under their pillows and advises against carrying cell phones in front pockets, due to possible radiation exposure to the reproductive system. Also, a study by International Electromagnetic Field Collaborative recommends that parents should not allow their children under the age of 18 to use mobile phones except in emergencies, or to sleep with cellular phones under their pillows. Cell phones pump out electromagnetic radiation whenever they’re on, which means sleeping with one nearby boosts your exposure all night long. What to do? Put the phone on “airplane mode” (which shuts down the transceiver) or turn it off. If you need to be available for calls, place the phone several feet away from your bed. Mobiles emit harmful radiation due to transmission of signal around 900MHz. This radiation may damage your brain. The impact of mobiles on people worries experts. When you regularly sleep with your mobiles kept so close to you, you could become hyper sensitive which will create troubles falling asleep. The result: insomnia and other sleeping disorders. Experts are worried about the impact mobiles have on people. Keeping them so close to you makes you super-sensitive, so you will probably have troubles falling asleep. This can cause insomnia and other sleeping disorders. According to Dr Charles Czeisler, the main problem associated with mobiles is their strong artificial light that affects your system, copying daylight. The light stimulates the retinal cells – the area around the side of your eye, which send messages to the brain. Cells sensitive to light send your body information about the time of the day, explains Dr Meadows. This may not just result in insomnia, but also cause dizziness and headache. 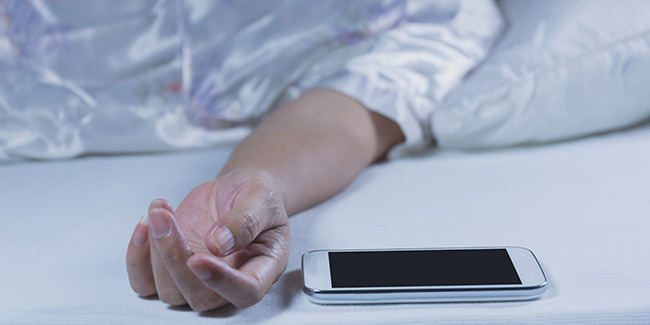 Most experts advise you to take the safe route and limiting unnecessary extended exposure, such as sleeping with a cell phone next to your head. You must avoid sleeping near a cell phone that is on. Alternatively, you could put the phone on “airplane mode” which shuts down the transceiver or turn it off. If you need to be available for calls, place the phone several feet away from your bed.